A property loss can be an extremely stressful situation, especially if you have lost items that carried sentimental value to you or your loved ones. We understand what you’re going through and work to get you back to normal fast with minimal intrusions during what is hopefully a once in a lifetime event for you. We focus on mitigation, not reconstruction. This not only helps restore your property faster, it lets us save items that others discard without even trying to restore them, saving precious memories that otherwise could be lost forever. But if construction is necessary, our full-service capability means we can handle the job from start to finish. ICC operates in a completely transparent manner, providing comprehensive documentation and on-going communication in near-real time. When we’re finished, we’ll give you a homeowner’s packet that documents that the loss was restored to the proper Standard of Care. 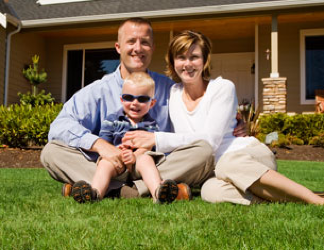 This preserves the value of your home when it comes time to sell. ICC offers the widest range of restoration and reconstruction services in the Twin Cities area and Western Wisconsin, from emergency board-up to mitigation to full reconstruction. 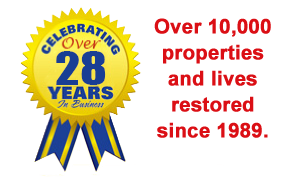 This includes water and sewer damage, fire damage, storm restoration, mold and microbial remediation, biohazard clean up, a full in-house contents restoration system and other services. This is a belated but most sincere thank you, to you, ICC and your entire team. We first met you at our home in Woodbury in early Feb. 2016 after coming home from vacation to find a failed furnace and water damage. We were upset! Lucky for us, everyone we met from ICC in the coming days, weeks, and months lived up to your promise to help and restore our home. We’d especially like to note Jake, who was in our home a lot those first couple weeks as he monitored the drying process. He was always professional and thoughtful, calmly answering our questions and quietly doing his job with confidence. That made us feel like we were in good hands! Jaynell coordinated things from your office and again, with professionalism and kindness. During a time when things were in an uproar at our house, she was always reassuring, polite, and responsive. We really appreciated that. All of the contractors you sent us were excellent; the plumbers, the electricians, the painters. Especially we’d like to acknowledge the tile guy and his crew. Again, they were reliable, came when they said they would, and most importantly, the work they did was excellent. Tamara who helped with picking the cabinets was a life-saver. She helped so much with the many overwhelming decisions as we chose colors and products to restore our home. We believe she went above and beyond to make sure we were getting the most for our money and would be happy with the outcome of the restoration process. We love everything we chose; the cabinets are lovely! Lastly, but my no means least, we’d like to thank you, Joe, for your overseeing of this project and for sending us Erick! We’ve honestly never met anyone who worked with such diligence to make sure we were happy. He went above and beyond, checking and double checking that things were going well. Throughout the process, Erick communicated clearly with us, always making us feel he had our best interests in mind. His explanations and scheduling were clear and accurate. We feel grateful he was assigned to our project….so thanks to everyone who helped!!! We’d have never wished for this recent damage/restoration in our home, but we think we’ve come out with a better home because of it…and mostly….because of ICC’s dedicated help. Thanks again to everyone!